Whenever fainting is caused by a heart problem, you need immediate medical attention. In fact, passing out from any cause warrants prompt medical attention, since the next episode may occur while you’re driving. But fainting due to a heart problem is especially concerning and means a visit to the doctor asap. If you’re having blackouts or feeling faint, the first thing you should do is have your heart checked out. What Heart Problems Can Cause Fainting? 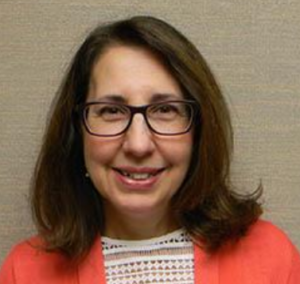 “There are a number of cardiac causes of syncope or passing out,” says Donna P. Denier, MD, of The Cardiology Center with the Appalachian Regional Healthcare System. “Cardiac arrhythmias are one of the more common cardiac causes of syncope. Atrial fibrillation [a rhythm disorder] is not a usual cause of syncope — unless the heart rate becomes extremely fast. “But other arrhythmias can be, such as supraventricular tachycardia, ventricular tachycardia, heart block or severe bradycardia [abnormally slow pulse]. “This diagnosis is best made by continuous cardiac monitoring, ambulatory monitoring or electrophysiology testing. Probably, the most common cardiac cause of syncope is neuro-cardiogenic in origin. “This is a typical fainting episode that is caused by an abnormal response to a prolonged upright position resulting in a sudden drop in arterial blood pressure, then followed by a slowing of heart rate. “Aortic stenosis, when the aortic valve becomes critically restricted, can result in syncope,” says Dr. Denier. Aortic dissection and pulmonary embolism are immediately life-threatening and require immediate medical attention. They typically cause chest pain, but fainting or a faint feeling can also result. “The majority of cases of syncope are diagnosed by history and physical exam, understanding the situational factors involved and the patient’s individual risk factors,” says Dr. Denier. Fainting absolutely is NOT normal. Causes range from pregnancy, low blood sugar and lack of nourishment/dehydration (especially paired with physical exertion), to potentially fatal heart rhythm disorders. Dr. Denier has been practicing medicine for over 15 years and is board certified by the American Board of Internal Medicine – Cardiovascular Disease. 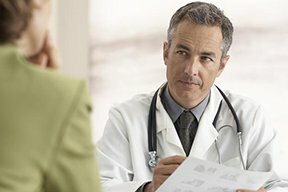 Can GERD Cause Faint Feeling or Sensation of Passing Out ? Can Chest Pain Be the Only Symptom of Arrhythmia?